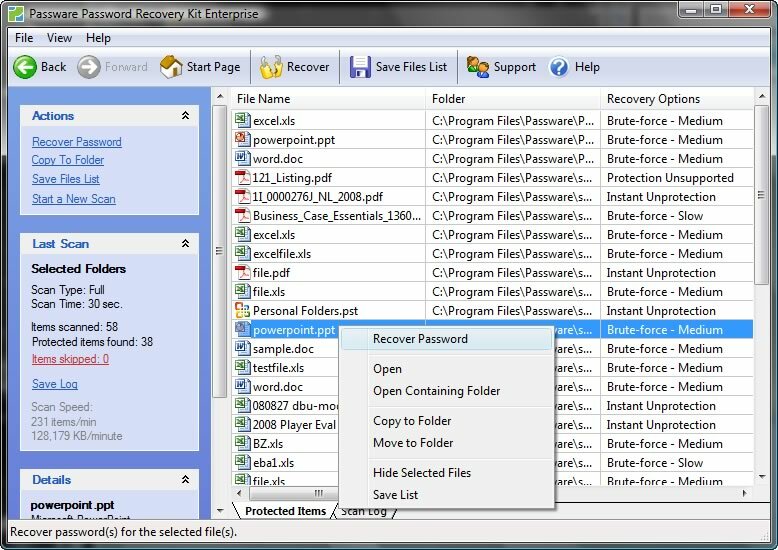 Passware Kit Enterprise will recover all kinds of lost or forgotten passwords for the world's most popular office application files, including Excel, Word, Windows 2003/XP/2K/NT (both Local and Domain Administrator accounts), Lotus Notes, RAR, WinZip, Access, Outlook, Acrobat, Quicken, QuickBooks, WordPerfect, VBA and more. Passware Kit Enterprise supports all Microsoft Office versions. Passware Kit can recover passwords for opens, write reservations, workbooks and worksheets, templates and documents, Personal Folders files, form designs, databases and access user accounts. Lotus Notes Key module recovers passwords for Lotus Notes user ID files. Zip password recovery module decrypts most of WinZip archives in less than an hour with new SureZip recovery. 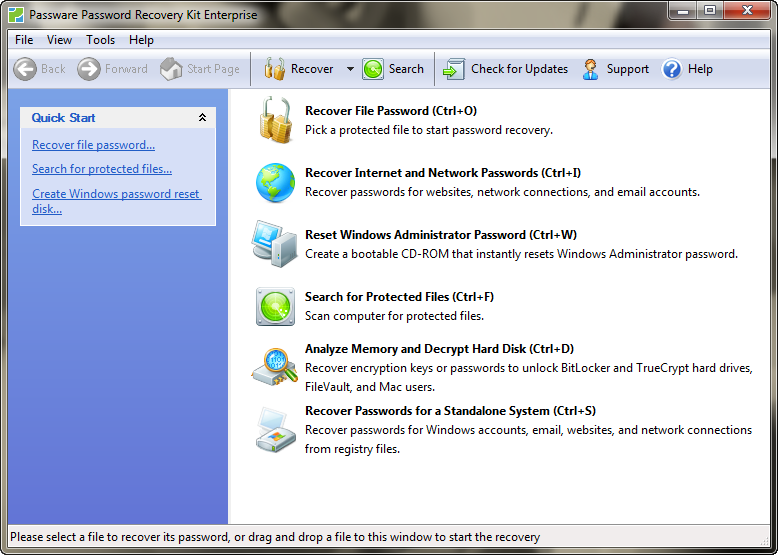 * Recovers encryption keys for hard drives protected with BitLocker in minutes New!